Daylilies are adorned by most gardeners young or old, experienced or novice. They provide a cheery bloom, and are easy to grow and keeps a nice bushy- full green leaved clump all summer until frost. 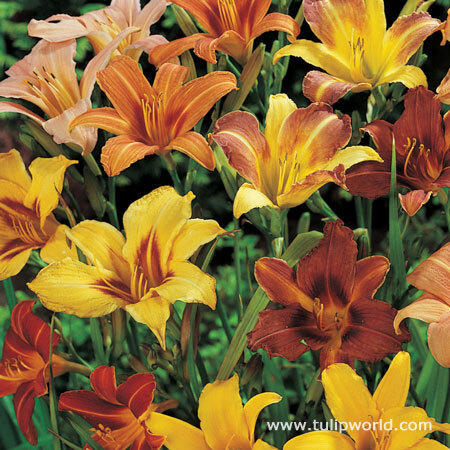 This Daylily super pack has mixed colors that will brighten up your garden mid-summer. Clump grows larger every year and may be divided to add to other areas of garden or to share with friends! Every single one is coming up in my garden and this happened quite quickly, great product! Love this package. Can’t wait to see the colors when they bloom. Everything looks great.